PETER Age: 13!!! 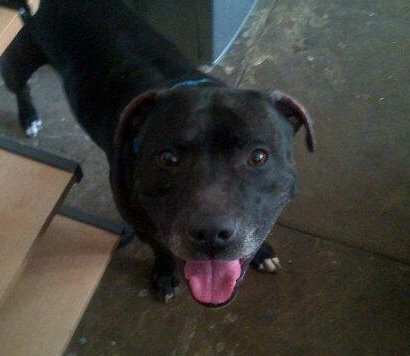 Size: Medium Breed: SBT... Dogs: Possibly Cats: No Children: Older Peter is a lovely 13 year old boy! Fine around other dogs, does NOT like cats - the naughty old boy would much rather chase them rather then live with them! He's a real softy and doesn't like to go out in the rain! Can anyone offer Peter a sofa for his twilight years?